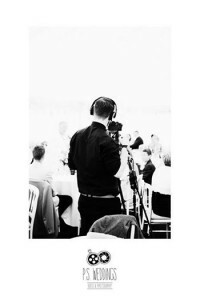 There are a number of reasons why you may choose separate companies and individuals to film or photograph your special day but we believe there are many benefits for you and for us as professionals, when you choose a team to come and capture your wedding. Here are some of the reason we recommend why you might consider our combined package and services. First and most importantly, we work as a team, we have worked together on many occasions and we have the same end goal, to produce the best possible work that we can for our couples. We don’t need to worry about treading on the toes of other professionals or that we aren’t able to get the imagery we need for fear of stepping in to another photographer/videographers shot. We also know how one another works, the type of shots the other wants to achieve, so we keep each other informed to make sure those opportunities aren’t missed. Because we work together we can use our time and yours more efficiently, you do not need to split your time between a separate photographer/videographer, each of whom will want time with you to gather the images they need. Whilst Shaun is shooting pictures with you away from your guests, Phil will follow, filming the footage he needs for edit, without taking you off for a separate shoot. When working with separate companies who havent worked together, this can become difficult. We communicate with each other so you don’t have to relay the same information to two different sources, which leaves you with more time to enjoy your day. Also, there is a lot to arrange before your big day and many meetings and consultations that need to be attended before getting everything just as you want. By hiring a team for your wedding visuals, you half the amount of meetings, emails, details and planning you need to get everything exactly as you would like. There are a great deal of unseen costs to consider when booking your photography/video packages, things that you may not think about as you plan the rest of your day. By booking a team you halve the amount of travel costs, the planning and administration costs that are generally tied in to your overall package are also greatly reduced. Our combined packages cost significantly less than when booking us individually, why? We want and prefer to work together, we feel we produce better work for all of the reasons listed above and so we have reflected that in our costs. You could save around £350 by booking our photo/video packages, meaning you can spend those savings on other items you might normally miss out on.